All countries have restrictions when it comes to foreigners wanting to work there. 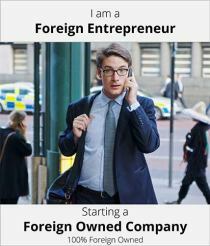 While foreign investment is most welcome, foreign individuals wanting to work in any country is a different matter. It is only natural that governments want to retain jobs for nationals. Yet they also want to attract the right kind of individual who has skills or expertise that is desired. In the case of Indonesia with its vast population of more than 260 million it is just as hard or difficult for any expat to live and work here. In fact, no Indonesian company will advertise for an expat in any international newspaper or platform. Usually, it is the individual who offers his services to a company that then begins the process of employing an expat then at a later strage the process of a dependat visa. The said company will have to seek approval from the relevant authorities to prove that no local can fill that position and that the expat has the ability and expertise to do the job. There are several types of visas each based on the purpose of the visit. For companies, the most common are the Work Visa (or KITAS, now also known as ITAS – Izin Tinggal Terbatas) and the Multiple Entry Business Visa. To work in Indonesia, one must apply for a work permit. Only with a valid visa can one earn an income here. It is said to be a bureaucratic procedure that involves the Ministry of Manpower as well as the immigration office. The entire procedure will take two months. The Sosial Budaya, or social-cultural visa will require an Indonesian sponsor. It has a validity period of 60 days following which it must be extended every month for up to a maximum of six months. This visa is used for visiting families, or for socio-cultural exchanges. It is a single-entry visa; once the holder leaves the country, the visa becomes void. This is a multiple-entry visa that is valid for 12 months. This is also a social-cultural visa and therefore allows multiple entries in and out of the country. Please note that it can be used with no more than 60 days per visit. A Limited-stay Visa or Semi-Permanent Residence Visa: A foreigner hired by an Indonesian company is issued a VITAS while still in their home country. This is extended to the worker’s spouse and children and is issued after a work permit has been authorised. When a foreign worker and his family arrives in Indonesia, immigration procedures change the VITAS visa to a KITAS visa. Valid for six months to one year. A KITAS Visa is the most common visa for foreign residents and requires an Indonesian sponsor. Valid for five years in total, it is initially valid for one year and must subsequently be extended or renewed every 12 months. The KITAP is valid for five years. After the first five years, it can be extended for four more consecutive five-year periods, and is valid for 25 years in total. Just like a KITAS permit, a KITAP Visa requires a sponsor, and is most often given to foreigners who are married to Indonesian citizens and who plan on living in Indonesia permanently. It is important to note that sponsors carry full legal responsibility for their respective parties. As an example, should a foreigner commit a crime, the sponsor is liable to pay charges and fines if the foreigner does not have enough to meet such payments. Thus, it is important for both the sponsor and the foreign party to realise the legal responsibilities that the Indonesian citizen (sponsor) has and it is important that the foreigner ensures that the sponsor is aware of these responsibilities. In the case of marriage, foreigners who marry Indonesian citizens cannot automatically live in Indonesia. They are still required to apply for a residency visa, with the Indonesian spouse acting as sponsor. At first, a foreign spouse is given a KITAS visa. Following two extensions, a KITAS visa holder is eligible for a KITAP visa. You can have the family with you in Indonesia on a dependent pass. However if the wife is keen to work, she would find it difficult to get a work visa. In the first place, she would have to be sponsored by a company, which again is a laborious process and one which can be quite costly and long drawn out. Even if the wife is “qualified” it would be difficult. If she has language skills, it may be possible to get a legal job with a school or institution that is prepared to sponsor her. Getting into International Schools is rather difficult as most employees are what is termed as “native speakers” and are usually recruited directly from the home country. Some of the private schools may offer a job but on lower salary scales. Usually the wife of a KITAS holder would teach English or French or some other European languages. These days, even Chinese and Korean language teachers are around. Even music teachers would find it difficult to obtain a work visa. The point is if it can be done by an Indonesian, you will not be given a work visa. So the expat wife should really confine herself to her circle of friends or activity groups. Some even offer voluntary services to the needy and the very poor. Such social activities are welcome, but not so when the wife hopes to earn an income just like the husband. Of course, the wife can establish her own business in partnership with local. But that will involve a heavy capital outlay and a host of other permits, visas, and documentation that goes with the setting up of a business venture. Ideally, it would be best for the expat wife to enjoy her stay in Indonesia, invest herself into the education of the children (if they have any), get involved in some activity group, go sightseeing or explore the vast archipelago.